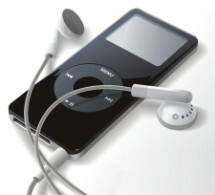 Mind body connection is responsible for the music therapy benefits of the music from your past. Sound in the form of familiar music from a happy period in your life can actually improve your physical health! This is one of the music therapy ideas I have wanted to write about for a while now, because it's something I have experienced firsthand. Sound and music can form powerful “neural-associations” that can actually affect our mental and physical health, and de-age you! Not convinced? Think about all the music being sold on those late night infomercials where aging rock stars promote collection of “oldies” from various decades of musical history. Why do you think people buy that stuff? It's because of the way those old songs make them feel, YOUNG AGAIN! The mind body connection that makes for such pleasant “feel-good” memories is a result of those neural-associations that trigger physiological responses that can make us feel physically better as well as mentally and emotionally. This is one of the best music therapy ideas I have come across, and I based this concept on Helen Langer's wonderful book called “Counterclockwise.” Be sure to check it out! There is nothing complicated about this. It does not require pills, potions, or exercises. It is simple and straightforward, much like the concept of grounding. Just pick some music from a period in your life when you were younger and not burdened with the weight of adult responsibility and concerns. Plug in your headphones and let the music transform you mentally, emotionally, and physically to a totally different frame of mind and body. Ever notice how you react emotionally to music. Music is used extensively in film to create an emotional response in the audience. This is because you respond to music in a very profound way. It can set the mood, make us feel happy, sad, ect. Because of the mind body connection we can use the power of music as a form of therapy to offset the effects of depression, anxiety, and other negative states of mind. When you are listening to music that you associate with positive uplifting feelings and emotions, it is very difficult to be in a negative frame of mind. Thus there is an inverse relationship between music therapy and depression. You can use music to lift yourself out of bad moods and depressed states, because music actually does change the structure of your brain in subtle ways! The benefits of these music therapy ideas are easy to understand and feel. A positive mind body connection requires the right type of sound. Music that promotes relaxation and lowering of stress is what you should be looking for. The type of music most beneficial has pleasing rhythms, melodies, and harmonies. This pretty much leaves out genres like: heavy metal, rap, grunge rock, ect. If it's harsh and discordant, steer clear if you want music therapy benefits. Think top 40, disco, folk, stuff from 20-30 years in your past. This is the music you listened to when in your physical prime, and this is the music you want to target for your antiaging efforts. You associate this music very deeply with a youthful and vital period in your life. These are the neural-associations you want to reduce your "physiological age," and actually make you younger! The right type of music also involves your believes and values as well. If you have strong religious values, then music such as Gregorian Chants, Gospel, or other types of music with religious overtones will be beneficial. Just be sure that the feelings that it invokes in you are positive and tend to relax and de-stress you. Use the powerful mind body connection that music provides as an antiaging therapy. You will be amazed at how good your body can feel when your neural-associations are positive and beneficial!